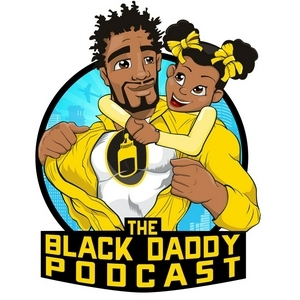 The Black Daddy Podcast is a show created for ALL fathers and those they love. If you are looking for weekly encouragement, inspiration, or challenge, tune in every week for a fresh take on Fatherhood, Faith, and Finances. Important Announcement : Pick & Stick! Episode 32: Is It All About Talent... Or Nah? Episode 31: Are you a Gazelle or a Lion? Welcome to Episode 27 of the Black Daddy Podcast After a break, we are back and stronger than ever! It hasn’t been simple, easy, or all roses but we are advancing forward. Listen in as we talk about 1. Our mourning process for the last few months 2.Ava Duvernays’ Hit Documentary “13th” 3. Some reflections on the movie "The Birth of a Nation." Intro/Outro Music : Lecrae's Church Clothes 3 'Can't Do You"
Last Week on Episode 21 Sam and Desirae Ofori sat down with Mama and I to talk about Marriage, Parenting and Ministry. Well today on Episode 22, The Daddy, Sam Ofori sits down with yours truly to talk about all things Daddyhood. Join us as we talk about The power of being intentional in your relationship. What he's learned in his first year of being a first time dad Why he says men need to stop being superman and be themselves Why the church gets it wrong when it comes to the Sunday morning experience and what they can do to get it right. The power of embracing the background and more Right here with my bother Sam Ofori on The Black Daddy Podcast! Marriage is a beautiful thing right? Isn't it all about the happily ever after? Well, not quite, MARRIAGE is Real! Today's episode is the second installment of our conversation with Damian and Jamie Johnson, founders of the Marriage is Real Movement. In today's episode they are taking over and giving us their top 5 reasons for WHY marriage is real .They will be candid, humorous, and transparent about some of their early struggles, present day victories, and future hopes as they continue to stand for the beauty, value, and necessity of marriage in today's culture. Get ready for Episode 20 of the Black Daddy Podcast with Damian and Jamie Johnson. African vs. African American: It Runs Deep. Join us today as we continue our episode on being African versus African American. Listen as we unpack what it is like to be married to a black man in America. Her childhood experiences of not fitting in as an African with the black kids. The remedy to self hate and how the slavery narrative plays a big part in how we do or don't see ourselves What we call "The racial totem pole." 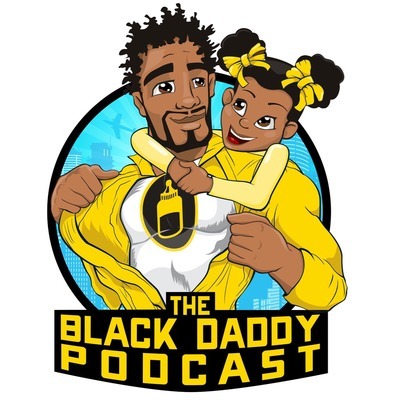 Raising a black son compared to raising a black daughter This and more on the Black Daddy Podcast! Witnessing the Birth of your child is a blessing by itself. What happens when you experience it : At Home Without ANY Medical Staff Without any Meds and with GOD ALONE ! This is our Daughter Gia's BIRTHSTORY. It is a MUST LISTEN! Episode 13: Daddy vs. Father, Integrity, Poverty & "Pauls"
Episode 12: "Having it all , Losing it, Re-Marriage, and Real Manhood w Dr. Joe Martin"
The greatest achievement was at first and for a time a dream.The oak sleeps in the acorn; the bird waits in the egg; and in thehighest vision of the soul a waking angel stirs. Dreams are theseedlings of realities. The dreamers are the saviors of the world. As the visible world is sustained by the invisible, so men, through all their trials and sins and sordid vocations, are nourished by the beautiful visions of their solitary dreamers. Humanity cannot forget its dreamers; it cannot let their ideals fade and die; it lives in them; it knows them in the realitieswhich it shall one day see and know. He who has conquered doubt and fear has conquered failure. His every thought is allied with power, and all difficulties are bravely met and wisely overcome. His purposes are seasonably planted, and they bloom and bring forth fruit which does not fall prematurely to the ground. Having conceived of his purpose, a man should mentally mark out a straight pathway to its achievement, looking neither to the right nor to the left. Doubts and fears should be rigorously excluded; they are disintegrating elements which break up the straight line of effort, rendering it crooked, ineffectual, useless. Thoughts of doubt and fear never accomplish anything, and never can. They always lead to failure Purpose,energy, power to do, and all strong thoughts cease when doubt and fear creep in. A man should conceive of a legitimate purpose in his heart, and set out to accomplish it. He should make this purpose the centralizing point of his thoughts. It may take the form of a spiritual ideal, or it may be a worldly object, according to his nature at the time being; but whichever it is, he shouldsteadily focus his thought forces upon the object which he has set before him. He should make this purpose his supreme duty, and should devote himself to its attainment, not allowing his thoughts to wander away into ephemeral fancies, longings, and imaginings. This is the royal road to self-control and true concentration of thought. Even if he fails again and again to accomplish his purpose (as he necessarily must until weakness is overcome), the strength of character gained will be the measure of his truesuccess, and this will form a new starting point for future power and triumph. A particular train of thought persisted in, be it good or bad, cannot fail to produce its results on the character and circumstances. A man cannot directlychoose his circumstances, but he can choose his thoughts, and so indirectly, yet surely, shape his circumstances. Good thoughts and actions can never produce bad results; bad thoughts and actions can never produce good results. This is but saying that nothing can come from corn but corn, nothing from nettles but nettles. Men understand this law in the natural world, and work with it; but few understand it in the mental and moral world (though its operation there is just as simple and undeviating), and they, therefore, do not cooperate with it. "Men do not attract that which they want,but that which they are." The outer world of circumstance shapes itself to the inner world of thought, and both pleasant and unpleasant external conditions are factors which make for the ultimate good of the individual. As the reaper of his own harvest, man learns both by suffering and bliss. Thought and character are one, and as character can only manifest and discover itself through environment and circumstance, the outer conditions of a person's life will always be found to be harmoniously related to his inner state. This does not mean that a man's circumstances at any given time are an indication of his entire character, element within himself that, for the time being, they are indispensable to his development. Just as a gardener cultivates his plot, keeping it free from weeds, and growing the flowers and fruits which he requires, so may a man tend the garden of his mind, weeding out all the wrong, useless, and impure thoughts, and cultivating toward perfection the flowers and fruits of right, useful, and pure thoughts. Man is made or unmade by himself; in the armory of thought he forges the weapons by which he destroys himself; he also fashions the tools with which he builds for himself heavenly mansions of joy and strength and peace. By the right choice and true application of thought, man ascends to the Divine Perfection; by the abuse and wrong application of thought, he descends below the level of the beast. Between these two extremes are all the grades of character, and man is their maker and master. Just like the plant springs from, and could not be without, the seed, so every act of man springs from the hidden seeds of thought, and could not have appeared without them. Could it be that our lives are a direct result of our thoughts? James Allen thinks so. We hear it all thetime: 1. It aint the size of the dog in the fight, its the size of the fight in the dog.or fake it till you make it. One thing is for sure, there is a direct connection between the results of our lives and our thoughthabits. On this first day of the black daddy boost, I want you to join me in throwing offthe weight of negative,toxic, and defeated thinking. There’s another saying that you are what you eat, well today , rememberYOU ARE WHAT YOU THINK!Just like the plant springs from, and could not be without, the seed, so every act of man springs from the hidden seeds of thought, and could not have appeared without them. A man on fire! Charles Cooper is an author, church planter, lecturer, and church consultant. Preaching since the age of 15 and honoree of the Harry A Ironside Expository Preaching award, here’s a man who when he talks, people listen! HOPE. THE WHITEHOUSE. and The Biggest Issue Facing The Black Single Christan Woman. 1) Overcoming inadequacy as a father and believer 2) Overcoming identity crisis, 3) How social media is killing our sense of what is real and what’s not. The Golden Years part 2 with Dr. Preston Adams. At 72 years young he's dropping more nuggets on not so favorite tv dad, overcoming the naysayers, and accepting WHOSE you are. Episode 1: Why Foster Care? Episode 0: Black Daddy What?